CES is the world's biggest coming-out party for the year's new gadgets, and it's also a good barometer of the health of the tech industry as a whole. 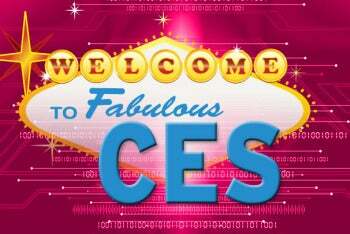 Since the CES festivities got rolling over the weekend, we've been trying to get a bead on the major themes--the hot products and topics that are being discussed in the hallways, on the show floors, and in hotel bars all around the Las Vegas Strip. Here's what we're seeing and hearing so far. The tech industry seems to believe that it has found a happy medium between the power and functionality of laptops and the portability of tablets. It's called the Ultrabook (See "Windows Laptops Redefined: Everything You Need to Know About Ultrabooks"), and PC hugely popular in the coming year. According to industry estimates, manufacturers will launch between 30 and 70 Ultrabook models at CES this year. Ultrabooks, as defined by Intel (the company pushing the components for them), are thin--less than 0.8 inch thick--lightweight laptops that use flash-based storage and can run for longer than 5 hours on one battery charge. Intel has said that it hopes Ultrabooks will fire up the PC industry to compete with tablets, and that it expects 40 percent of laptops sold during 2012 to be Ultrabooks. The Ultrabook, originally exemplified by the MacBook Air back in 2008, is meant to appeal to consumers who like the connected mobility of tablets, but need the tactile keyboard experience, greater power and expanded inputs and outputs offered by a notebook. Companies like Samsung, with its Series 9 Ultrabooks, and Lenovo have already released some Ultrabooks over the past year, but 2012 will see their second and third waves of such devices. The companies are eager to sell Ultrabooks to people who might otherwise opt for a tablet or the MacBook Air. Still, making a big splash at CES in a product category that everybody seems to believe will be hot does not guarantee success. You need look back only as far as 2009 to see lukewarm sales for a much-trumpeted device de jour; that year, the netbook was supposed to become huge, but instead it seemed to fade from view almost completely as iPad mania spread. The same could very well happen with Ultrabooks. One Credit Suisse analyst has predicted that Ultrabooks will account for only about 10 percent of all laptop sales during 2012. Ultrabooks are not expected to supplant consumer interest in the tablet, in any event. Tablets were a big story at last year's CES, and they're an even bigger story this year. 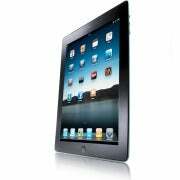 Members of the much-hyped cohort of iPad-challenger tablets introduced at CES 2011 made little progress in their efforts to unseat Apple's iPad as the market leader. The iPad still sells considerably more units than all competing tablets combined. Nevertheless, a new wave of challengers arrives this year with improvements, refinements, and prices designed to chip away at Apple's preeminence from a number of different angles. The updates include use of the latest and greatest version of the Android OS (Ice Cream Sandwich), better displays, thinner profiles, and quad-core processors. Many companies active in the tablet market hope to profit from consumer interest in less-expensive tablets that run previous versions of the Android OS--the Kindle Fire, for instance. Our tablets reporter, Melissa Perenson, points to the example of a new Asus tablet that comes equipped with a Tegra 3 chip and is set to sell for $250. At CES this year the focus is less on the devices themselves, and more on the apps that make the devices do cool things. Today, it seems like a forgone conclusion--yesterday's news, in fact--that new devices ranging from cameras to TVs to picture frames will be connected to the Internet. The next frontier appears to involve the intelligence and functionality that users can send down the pipe to make those devices smarter. Set-top boxes and smart TVs are good examples of this trend. Earlier generations of set-top boxes from makers like Roku, Panasonic, Boxee, Netgear, and Samsung were designed simply to just transfer video content from a PC to a TV; but now that manufacturers have gotten good at that, they're focusing on preparing their boxes to run apps--usually Android apps. Not only can these apps provide navigational tools that simplify the tasks of finding and managing the content users want, but they can augment the viewing experience in cool ways. Apps that let you video-chat or send instant messages in a pane to the right of the picture on your TV have been popular, and we've even seen apps that allow you to immediately click to buy a product that you see in the show. Other apps deliver music content and gaming.